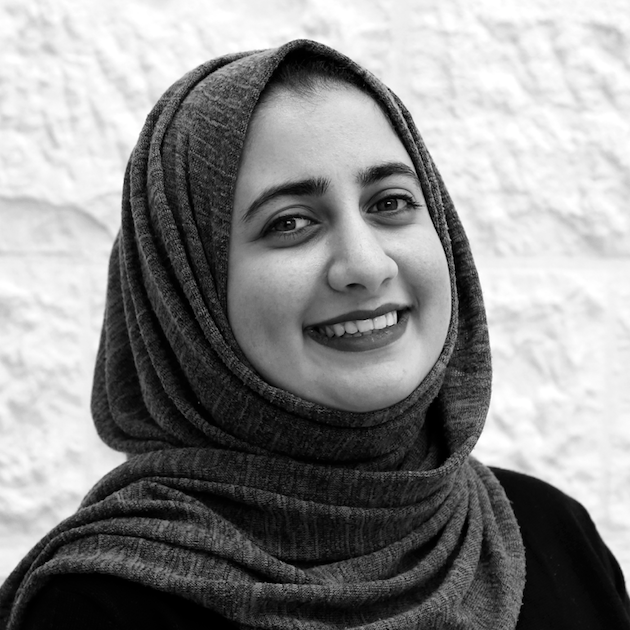 Duha joined Generations For Peace as a Programmes Coordinator in 2017. In this role, she has contributed to the implementation of both the EU-Madad and Nashatati Programmes in Jordan. Additionally, under the direction of the Programmes Officer, Duha mentors volunteers to help them design, implement, and evaluate activities that enable participants to transform conflict within their communities. Duha’s previous experience as a Membership and Project Officer allowed her to develop her interpersonal communication skills and provided her with the know-how to manage projects and ensure impeccable results. In addition to her Bachelor of Science in Communication Engineering, Duha has attended various trainings in project management, monitoring and evaluation, strategic planning, qualitative and quantitative research methodologies, cross-cutting themes, and procurement and logistics management. She is currently earning a Project Management Professional Certificate (PMP) from the Project Management Institute (PMI). In her free time, Duha enjoys walking, reading, learning new skills, and attending kickboxing classes.